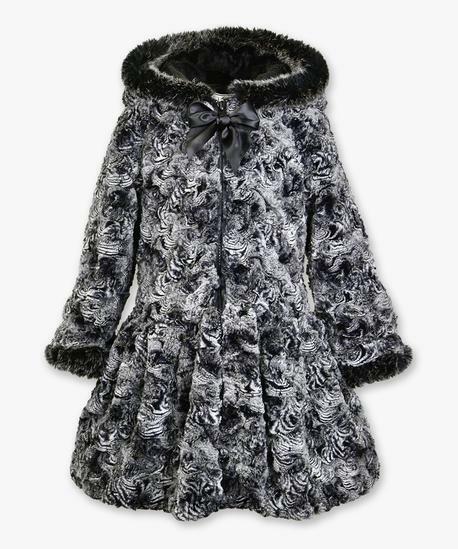 The black marble effect on the faux fur of this coat makes it irresistible. As if the fabulous faux fur wasn’t enough a solid black fur trim was added to the cuffs and the hood creating extra elegance. The dropped waist of the coat has a flounce finish adding a bit of twirl factor. Side Seam pockets. Zip front closure. 100% Polyester. Machine washable. Imported. Note this coat does not have a bow on the zipper as pictured.